At Buchanan and Meyer Attorneys, we understand the terrible anxiety you may experience if you are charged with a crime or are facing a divorce or custody issue. We know your future may depend upon what happens next in the legal system. No one will fight harder for you than we will. With more than 45 years of combined experience, our lawyers are known as tireless and aggressive champions for our divorce and criminal defense clients in Denton and Tarrant Counties. Legal battles are not won by the timid. So while some prefer to immediately negotiate or plead out a case, we are not afraid to take your case to trial if that is best for you. We have decades of Texas trial experience. Whether determining how marital assets are to be divided in a divorce or pleading innocent to homicide, we have the experience and determination needed to fight and win in court. The skilled lawyers at Buchanan and Meyer Attorneys understand what you are going through and are ready to help. Call us today to talk about your case. 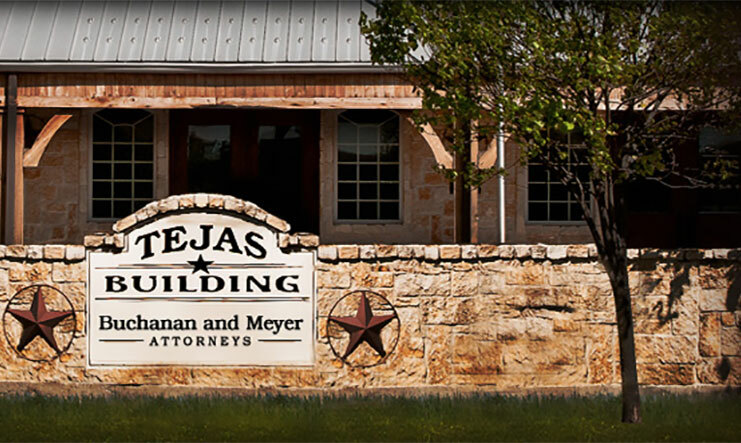 We are conveniently located across from the Denton County courthouse, in the Tejas Building. For a free initial consultation with one of our experienced Denton divorce, family law or criminal defense lawyers, contact us online or call us at 940-312-6748.